At Twin Maples Home Health, our caregivers are prepared to assist patients with personal and day-to-day activities that they may no longer be able to perform due to their circumstances. Be it because of illness, or a disability, our caregivers are ready to lend a helping hand whenever you need it. They are respectful and they assist you in such a way that you are still able to retain your dignity and independence. 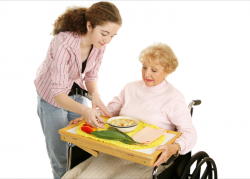 Allow our personal caregivers to help you. We encourage you to give us a call at 740-596-1022 if you or a loved one requires this type of assistance.